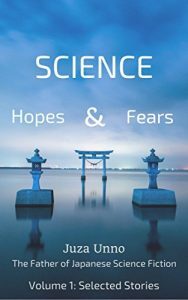 Locksleyu from Self Taught Japanese has released a new volume of Science: Hopes & Fears following a collection of short stories by Juza Unno. This second volume consists of a dystopian novella by the same author. Written in Japan in 1937, this is an early example of dystopian work that has previously never been translated into English. 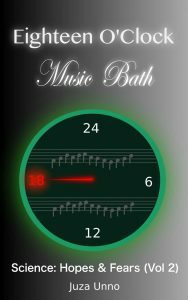 If you are a fan of novels such as Nineteen Eighty Four from George Orwell, then please pick up a digital copy of “Eighteen O’Clock Music Bath” and see Japan’s early contribution to the genre. I helped with translation checking and editing of this novella. What Color is the Magic? The Wind Across Qinghai Lake? 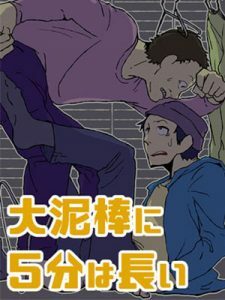 This is the sixth and final chapter of “Five Minutes Won’t Cut It” (大泥棒に5分は長い), a short story by Kisaragi Shinichi 1(如月新一). 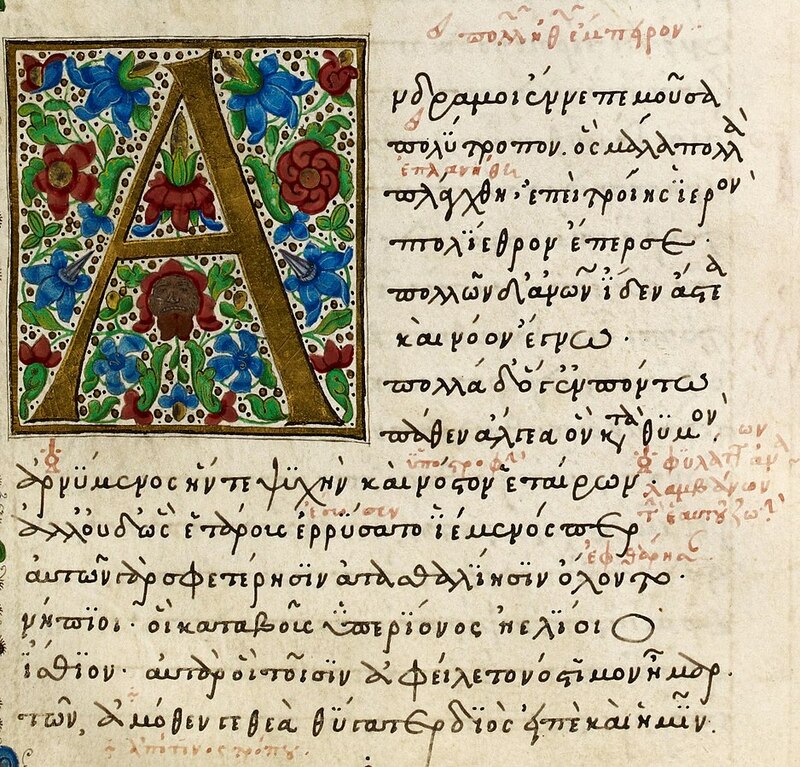 I have permission from the author to translate this work. Thanks to Locksleyu from Self Taught Japanese, both for inspiration to start this project and for help with verifying the translation and editing. The Anekawa couple wasn’t coming out of the bedroom, so we left their place behind, realizing this would be our only chance. It was a risky bet, but now the wind was drying our cold sweat—we made it. This is the fifth chapter of “Five Minutes Won’t Cut It” (大泥棒に5分は長い), a short story by Kisaragi Shinichi 1(如月新一). I have permission from the author to translate this work, and I plan to release the complete story in six chapters. “I’m moving back in with my parents.” I never thought the day would come when I would say those words. The only thing there for me is nagging. My parents are the type of people that still say a woman’s place is in the home, so I can’t imagine us seeing eye to eye. My job comes with responsibilities. It’s not like I’m making a weekly magazine for fun. I’m hoping the articles I write will reach the world, resonate with the world, even a little. Occasionally I’ll write some worthless, exaggerated piece: actors and their suspected affairs, celebrity ratings, secret pop star rendezvous. But no matter the topic I want to take it head on. That’s why I just keep getting busier. This is the fourth chapter of “Five Minutes Won’t Cut It” (大泥棒に5分は長い), a short story by Kisaragi Shinichi 1(如月新一). I have permission from the author to translate this work, and I plan to release the complete story in six chapters. Do these noodles feel any different? I was slurping them up with my head cocked to the side, unable to recall what they were like before, when a sound came from the entrance; Abiko and I exchanged looks. My expression stiff with wide eyes, I broke into a cold sweat. Unno Juza, known in Japan as the father of Japanese science fiction, has never been translated into English until now. Thanks to the creator of Self Taught Japanese, English speakers now have access to some of his work. This E-book, available on Amazon, contains several intriguing and shocking short stories. I helped with some of the editing as a volunteer, and I’m excited to share some thoughts about the final product in this post. If you are fascinated by how the the future has been imagined historically, then these stories will be perfect for you. They were written in the 1930s and 1940s and touch on many scientific fields. One example is the mention of electricity. I like to see electricity in classic fiction and try to understand the image of the technology held by people of the time period and how they envisioned it progressing. This is the third chapter of “Five Minutes Won’t Cut It” (大泥棒に5分は長い), a short story by Kisaragi Shinichi 1(如月新一). I have permission from the author to translate this work, and I plan to release the complete story in six chapters. Chapter 3: Why a Book About Kyoto? On the right was a Japanese style room with a tatami floor, and the room on the left was set up like a bedroom. I went to the bedroom on the left, Abiko took the Japanese style room, and after ten minutes of rummaging we met up in the living room to compare our findings. Abiko was carrying a Kyoto travel guide, and I was holding a watch and a ring. This is the second chapter of “Five Minutes Won’t Cut It” (大泥棒に5分は長い), a short story by Kisaragi Shinichi 1(如月新一). I have permission from the author to translate this work, and I plan to release the complete story in six chapters. In elementary school, being the kid that wins races is a big deal. Things were simple back then. However, when you get to middle and high school, running fast is no big deal—it won’t make you popular. No one pays attention unless you have outstanding looks or you’re involved in some kind of activity. This is the first chapter of “Five Minutes Won’t Cut It” (大泥棒に5分は長い), a short story by Kisaragi Shinichi 1(如月新一). I have permission from the author to translate this work, and I plan to release the complete story in six chapters. Here is another entry in Higashino’s series about skiing and snowboarding. I also reviewed and posted a short translation of Hakugin Jack, from the same series. This novel features two of the same characters from Hakugin Jack, but it’s not necessary to read the previous novels before reading this one. This is a murder mystery, but solving the murder is an afterthought to the story of Tatsumi, the prime suspect, fleeing the police as he tries to find the “goddess” who can confirm his alibi. 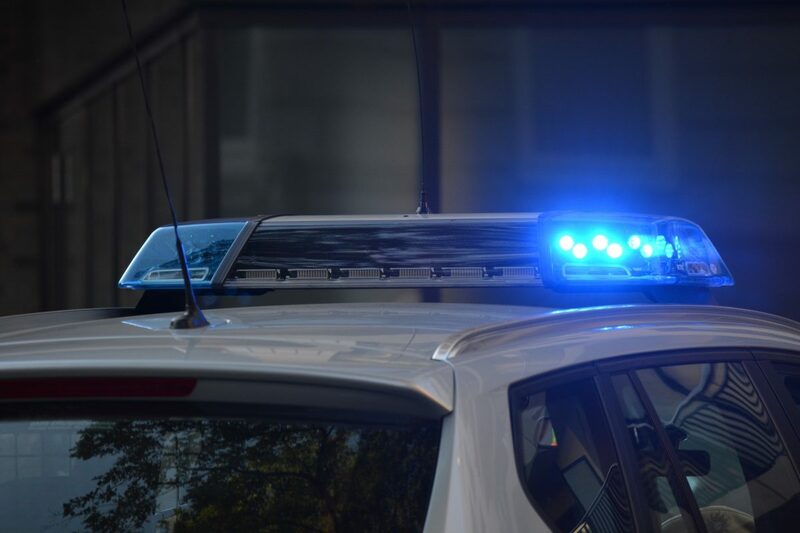 It jumps back and forth from the perspectives of the fleeing second-rate college students to an underrated pawn in the police force and his partner in pursuit. It plays out as both a police procedural, complete with Metropolitan Police Department politics, and a fugitive story. Do I Need to Translate to Read Japanese Novels? If you are learning Japanese, you may wonder what it takes to be able to read a book in Japanese. Since you’re reading this, you already know how to read English. It may seem like the quickest path to Japanese reading fluency would be to find the English equivalent for each word and expression, then let your brain process the English. Very straightforward. I have seen a couple examples of this approach for learning a second language. When I was a college student, I had the opportunity to be a home tutor for a Japanese high school student, helping him with his English homework. I was surprised to see that one of his objectives was to precisely and rigorously translate English sentences into Japanese. The resulting Japanese was not natural, but he was being taught to use those sentences as an intermediary when trying to understand English. Although challenging, it didn’t seem to me like he would get very far if his objective was to truly understand English. Even if he could understand written English using this method, he would be left behind, brain filled with Japanese, in any kind of English conversation. Author YetiPosted on November 15, 2017 November 15, 2017 Categories Translation2 Comments on Do I Need to Translate to Read Japanese Novels?